Are you in Kampala and you’re looking for a place to escape the Heat wave in Kampala on your safari Uganda? 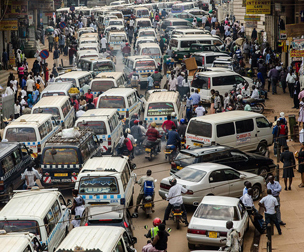 Are you from a long Kampala city tour walk? 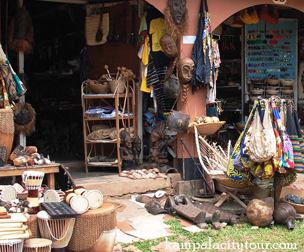 Or a one-day Kampala city tour? Here are places to relax and cool off that excess heat wave discomfort. 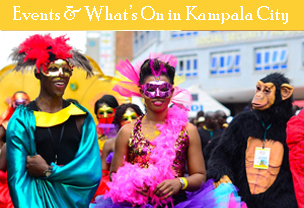 Kampala has strategically built elegant hotels that offer exceptional services to their clients including swimming. Have the rest of your day swimming and relaxing by a swimming pool in any of the hotels in Kampala. Some of these hotels generally pack out on weekends so if you’re planning a pool day make sure you get their early to claim the prime lounger spot. 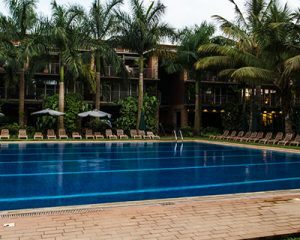 Situated in Bukoto on the Old Kira road, Kabira Country Club has one of the larger pools in Kampala Uganda and is surrounded by verdant palms giving it an elegant look. 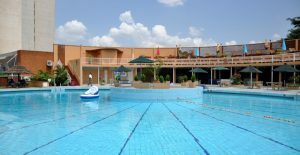 It is generally rated as one of the best pool in Kampala. Entrance to the pool for the day is about 30,000 UGX. This fee includes free use of the gym and a discount on any exercise classes that day. For those with kids there is also a nice kids pool around the corner and even a play area. Private swimming lessons can also be booked in advance. Kabira Country Club has a restaurant that is adjacent to the pool with large TV screens and quite a wide selection of foods. The food here, however, is pretty overpriced, so be warned that if you plan to spend the day here and eat it’s not a cheap day out! This place strategically located in Munyonyo right on the shores of Lake Victoria, Africa’s largest, and the world’s second largest fresh water lake. Definitely people take it as the nicest pool in Kampala because it boasts an Olympic-size pool and also has an attached gym for those looking for a complete workout or some serious swimming. Entrance here is about 20,000 UGX and thankfully food is slightly cheaper. The location means you can also take a wander along the lake and instead of leaving frustrated at being unable to take a dip in its bilharzia-ridden waters you can head up to the pool and plunge in there instead! The gym here is also included in the pool entry price and you can hire towels for a small extra cost. There is also a very small children’s pool equipped with sun loungers for families. Private swimming lessons can be arranged for those interested in them. Found in central Kampala off Nile Avenue, Sheraton Hotel offers a convenient pool option. Entrance is about 15,000 UGX, which includes a towel for the day and use of the fitness centre including aerobics classes. There are also poolside lockers for those looking to store valuables. Sheraton also has a small adjacent children’s pool making it a nice place to hang out or play the whole day. They also offer a lunchtime poolside grill with all dishes at 15,000 UGX and poolside drinks service. Make sure to arrive before lunch to get one of the better sun loungers around the pool edge. The Serena swimming pool is one of the biggest and fanciest hotel in Kampala, however, entrance to the pool here for non-hotel guests is 60,000 UGX, which I think says it all, really! The pool here is pretty small, in keeping with the boutique theme of the hotel however with the biggest draw spa package. You will pay a fee of about 70,000 UGX and you will get to use the pool for the day, have a sandwich and fruit juice, a massage in the luxurious poolside. This is definitely a great place if you want to indulge yourself for a reasonable price, and if you go on a weekday you’re likely to have it all to yourself. Towels are provided free of charge! This hotel neighbors Serena Hotel Kampala and is a much cheaper option. 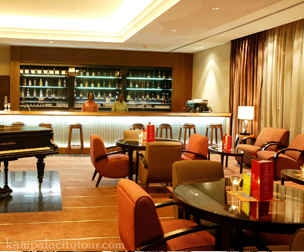 Imperial Royale hotel costs a pretty standard price of about 20,000 UGX. It has a relatively large pool found outdoors on the 5th floor, which gives you some nice views of the city. This hidden gem of a hotel boasts the best views in Kampala. Perched on the top of Buziga Hill, you can see right across Lake Victoria. It’s a great place for a sundowner cocktail. It also has a very small infinity pool, which you can visit for the day for 10,000 UGX (towel hire is extra). Food here is very good especially the fish dishes and pork nyama choma. This definitely makes it worth spending a full day here. Only problem is that the pool really is very small, its more decorative than intended for any serious swimming and this means that it fills up extremely quickly on the weekends. If you arrive after lunch you’re in danger of not being able to find any space around the pool. Located in Entebbe, about an hour’s drive from Kampala if there is no traffic Jam or if you use the Entebbe express way. But Imperial Resort is a favorite of many local and people who enjoy getting out of Kampala on the weekends. This is one of the cheapest pools, entrance is a mere 6,000 UGX and also boasts a private sandy beach on the Lake Victoria shores, as well as an awesome meat grill restaurant and sports bar with plenty of screens. We tailor Africa safaris to different destinations like Rwanda for Rwanda wildlife safari, Kenya for Kenya wildlife safaris, Tanzania for Tanzania wildlife safaris, and many more. This is an International Brand Hotel in Kampala. 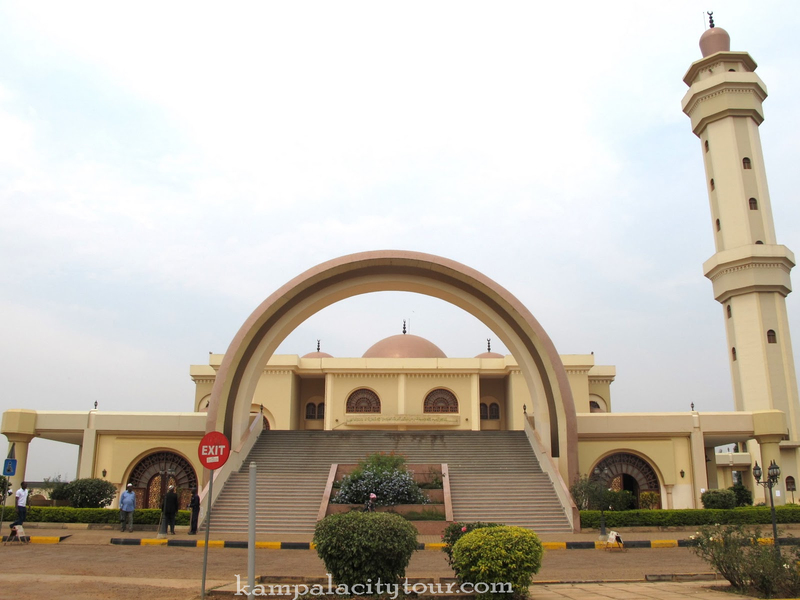 It is located on Ternan Avenue close to the city center and over 40 Km from Entebbe International Airport . 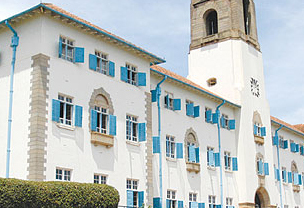 This historical feature is one of the rewarding sights in Kampala city. 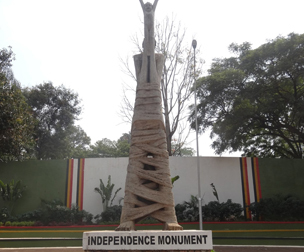 Rising magnificently to the height of 6 meters, the monument commemorates the attainment of Independence in 1962.